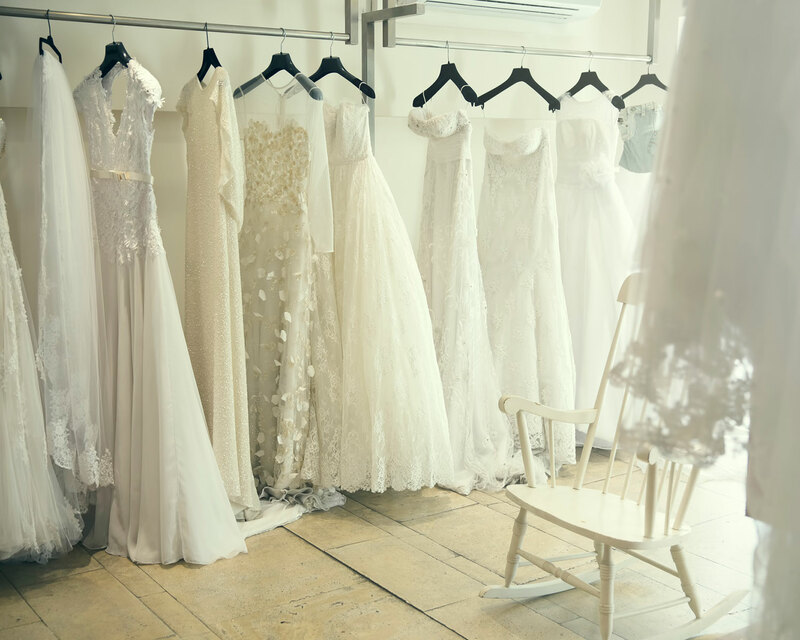 On Thursday, July 13, popular bridal retailer Alfred Angelo, based in Delray Beach, Florida, abruptly closed its U.S. stores (the company had more than 60 and over 1,000 wholesale locations) and filed for bankruptcy. This was very unwelcome news to so many couples depending on Alfred Angelo for their wedding dresses, tuxedos, bridesmaid dresses and more. Definitely check out bridal salons and shops in your area. Many local retailers are extending help to Alfred Angelo brides and bridesmaids impacted by the bankruptcy. See if you can buy anything off the rack, receive a discount due to the circumstances, or get a rush alterations done. Coincidentally, the National Bridal Sale Event started on July 15, hours after the bankruptcy news broke. In response to the store closings, the NBSE decided that the weeklong event be extended through the end of July to help unfortunate brides. Hundreds of local stores are participating in the event, so check the full list to see what local bridal boutiques are offering. 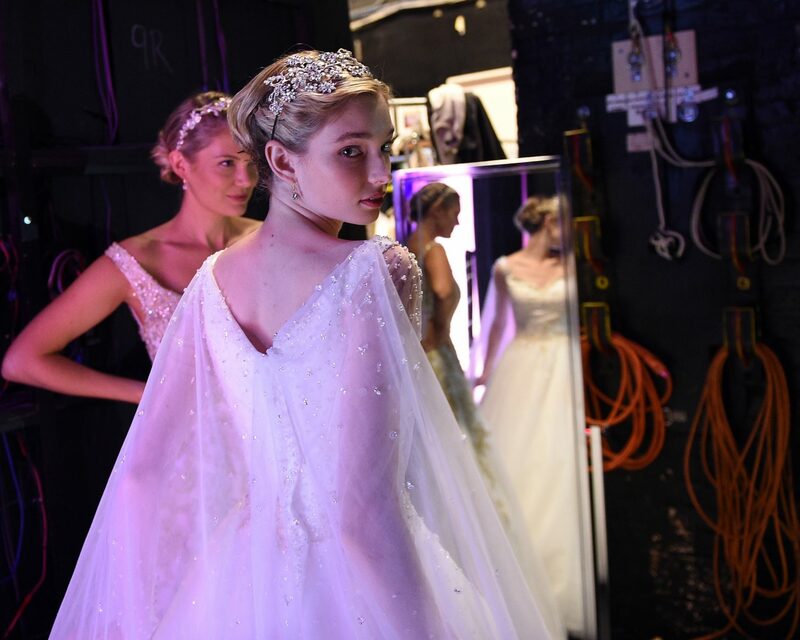 Retailers like David’s Bridal and BHLDN have offered special discounts for brides and bridesmaids impacted by the Alfred Angelo closures with some wedding dresses marked at 30 percent off and bridesmaid dresses discounted at 20 percent. Rush alterations fees and expedited shipping have, in some instances, also been waived among other deals. Brideside, one of the largest retailers to carry Alfred Angelo, released a statement this weekend about the ongoing situation. 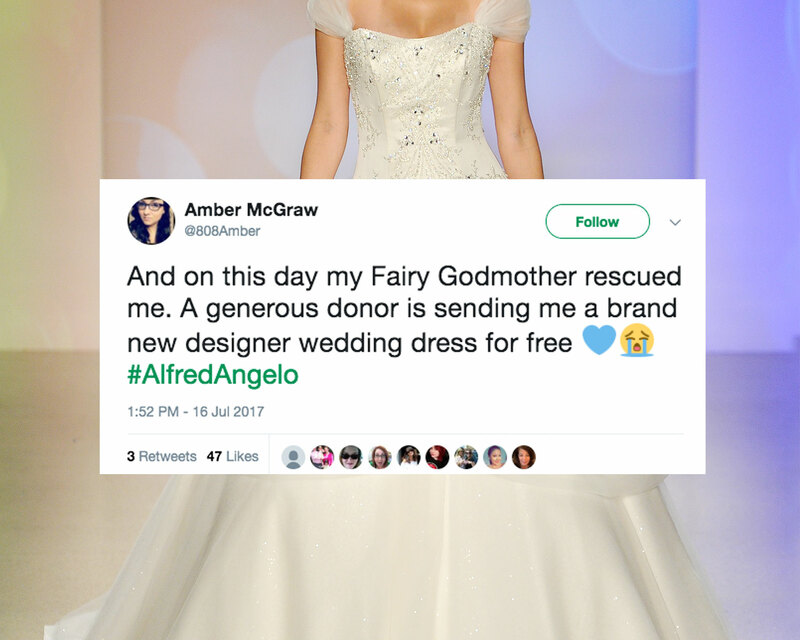 The team has been working directly with other designers to arrange discounts and rush options (free of charge) for any brides and bridesmaids affected by Alfred Angelo’s closing. Brideside also maintains that customers have the option of receiving a refund or credit, but the company says it would like to help brides-in-need find new options. Click here for more. Startups like Floravere and have even offered free sample gowns to Alfred Angelo brides. Bridesmaid rental service Vow To Be Chic is also giving impacted maids a 10 percent discount with its promo code (VOWTOHELP10). Your go-to wedding planning resource, The Knot, has opened a digital help line for those affected by Alfred Angelo’s failure. The email, dress911@theknot.com, is live and ready to service you. 4. Connect on social media with other couples by using the hashtag #AlfredAngelo. The to-be-wed and married community is extremely sympathetic and helpful with other to-be-weds who need help, and there’s a chance that someone can lend you their dress or other items you may need, like this Twitter user. There’s also a Facebook group specifically focused on the current situation. Discuss with other brides and wedding parties for possible solutions. In addition to the above options, there are additional retailers offering discounts on The Knot Facebook page, so click through for more options. 5. Explore your legal rights. Speak to a lawyer or legal expert about how small claims courts work in your area if you have a signed contract. This story has been updated with the latest information. Be the first to comment on "Alfred Angelo Shutters Stores Across the Country—Here’s What to Do If You’re Affected"